Will Václav Klaus unite Europe’s eurosceptics? Yesterday the Czech media was all aquiver with front page news in the left-wing daily Právo – and its associated news server Novinky.cz – that former Czech president Václav Klaus was ‘seriously considering’ running for the European Parliament. And that he was planning to do for the Civic Democrats (ODS) – the party he founded in 1991 and led for many years before stepping down as leader in 2002 then leaving altogether in 2008 in protest at his successor’s embrace of the Lisbon Treaty. What’s more, the story runs, as MEP Klaus, given his stature, would more or less automatically lead the European Conservatives and Reformers (ECR) group which brings together the British Tories, ODS, Poland’s Law and Justice (PiS) in what is intended to be a mainstream conservative anti-federalist bloc. The political return of former Social Democrat leader and leading presidential hopeful Miloš Zeman has been one of the more surprising emerging-from-under-the -radar phenomena in Czech politics over the past couple of years. For most observers of Czech politics Zeman was something of a historical figure, linked with the early years of transiton and the political battles of 1990s. Having shifted the Czech Social Democrats from a minor party to one of the big players in early-mid 1990s by making them a robust party of opposition, Zeman won a notable election victory in 1998, did a deal with his erstwhile nemesis Vaclav Klaus to form a minority government and served one term as Prime Minister (1998-2002) and then retired to his cottage in the Vysočina highlands. Retirement seems not to have suited him and still nursing political ambitions – and much to the horror of many former colleagues – he won a ‘primary’ among Social Democrat supporters to be the party’s presidential candidate in the 2003. 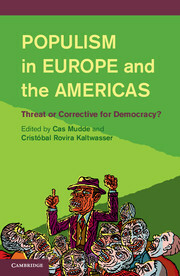 Alas as the Czech head of state was still indirectly elected by MPs and senators at the time, enough Social Democrat parliamentarians failed to vote for him that he was humiliatingly eliminated from this contest early on (Vaclav Klaus was finally elected and then re-elected for a second term in 2008). Zeman then finally parted company with his former party, wrote some splenetic, best-selling memoirs attacking ex-colleagues – memorably described by one academic reviewer as a ‘foul fart of a book’ – and it seemed that that was the last we would hear of him. The cigarette-smoking, beer- and becherovka drinking Zeman, known for his ponderous quotes, not very funny bonmoty and bruisingly effective political personality was set to become just another memory of 1990s. But come 2013, if the latest and last polls are to be believed, Zeman is the front runner in the Czech Republic’s first direct presidential elections, edging ahead of one-time favourite Jan Fischer, the former prime minister in the 2009-10 technocratic caretaker government. As Klaus steps down, Zeman steps up. We seem set for Fischer-Zeman second round run-off on 25-26 January. And even if Zeman unites a huge swathe of right-wing voters behind Fischer, given the left-leaning inclination of the Czech electorate he must surely be in with a shouting chance of taking over at Prague Castle on 7 March. How has this happened when so many other would-be comebacks and political vanity projects fail? Just think of the stillborn LEV21 party of Zeman’s one time rival and fellow semi-detached ex-Social Democrat Jiří Paroubek. For many voters. as well as being a known quantity. Zeman’s big political personality and experience as Prime Minister makes him a reasonably credible figure for high office. His flaws – the embarrassing off the cuff remarks, off jokes and occasional lack of political energy – are also well known and may therefore be discounted in advance by voters. Notwithstanding the Opposition Agreement deal with Klaus, from a left-wing point of the point of view Zeman’s time in front-line politics can be seen reasonably successful. Zeman also left office at a time of his own choosing, rather than because of crisis, scandal or electoral defeat. Almost the only Czech prime minister to do so (caretakers excepted). At the same time, having been out of national politics for the best part of a decade and broken his links with the Social Democrats, Zeman can credibly position himself as something of anti-establishment outsider. Lukewarm semi-endorsement by old rival Václav Klaus might even pull in a few voters from the right – although like Klaus such ‘naughty right-wingers’ will probably be expressing their dislike for the various centre-right and centrists candidates more than wanting to propel Zeman to office. Although there are questions over where Zeman’s political money comes from, with widely reported links to the Russian oil company Lukoil (denied by Zeman) and other Russian donors (not denied). Whatever the truth, the Zeman campaign has sufficient resources and organisation to be effective – and it started organising early. 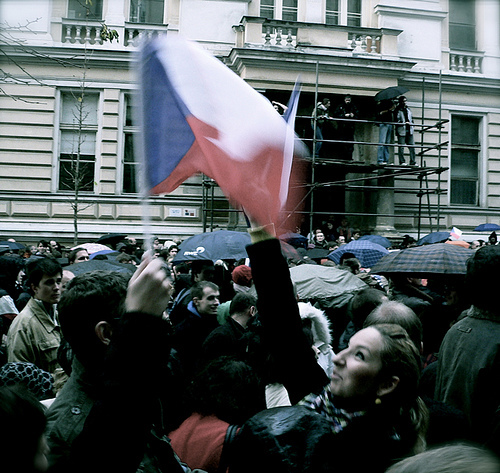 The Citizen’s Rights Party – Zemanites (of which Zeman is oddly only the honorary leader) was formed in October 2009 and contested the May 2010 parliamentary elections, pulling in a not negligible 4.33% – seemingly all at the expense of the Social Democrats – which was almost enough to cross the 5% threshold to enter parliament. SPOZ’s origins, in fact, go back some years earlier to the curiously named, Friends of Miloš Zeman association, run by Zeman’s former right-hand man and the ex-communist apparatchik Miroslav Šlouf. Despite clearly having cash to splash, SPOZ – as its reasonably solid performance in the October 2012 regional elections showed – also has organisation on the ground. The collection of 50,000 signature petition to nominate Zeman was also a notably quick and efficient operation. Šlouf and various other ex-Social Democrats in SPOZ are not political amateurs. While disliked and dismissed on the right, Zeman is acceptable to a range of left-wing voters, including Communist voters who might be put off by a candidate with closer links to the Social Democrats or with associations to Havel or the dissident movement. The Social Democrats official candidate Jirí Dienstbier jr. – son of the late dissident of the same name – has fought a shrewd campaign positioning himself a moderate, modern politician and actively solicited the support of the Communist Party (KSČM – which for once is not running its own candidate). Despite, this Dienstbier is off the pace and you wonder how many Communist voters might hold his family background against him. Zeman is less difficult for the party and has rather cleverly tacked towards some KSČM positions, for example his critical sounding remarks about the EU – he is he says a Euro federalist but against an EU superstate (work that one out) – and demands for additional funding if he flies the EU flag at Prague Castle. Finally, that most telling of political assets: Zeman has been underestimated by opponents. Despite the low key but obvious momentum he has had since 2010. He has been viewed a something of a political has-been or a buffoon. Somehow despite everything, for many it is hard to believe that he could really actually win. Despite a slow build up media scrutiny about funding and Lukoil connections – Zeman has faced little scrunitny or critical opposition in the campaign. Certainly few questions have been as to one what kind of a president he would be. 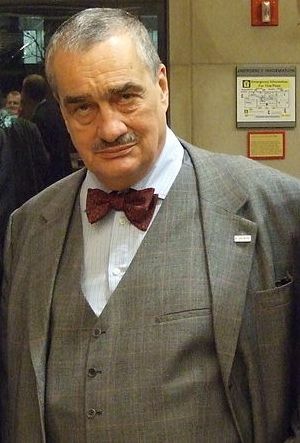 Until the recent efforts of civic initiatives to boost the campaign of Foreign Minister and TOP09 leader Karel Schwarzenberg, the main political parties (ODS, CSSD, TOP09) seem have written off their chances of their candidates and to be saving their real time, energy and money for parliamentary elections. What kind of President would Zeman be? His website offers only a selection of bland, somewhat fence-sitting views. His statements suggest he is still broadly on the mainstream pro-European centre-left and would be considerably less toxic to many abroad than Klaus. He was even one of only three presidential candidates to accept an invitation to a debate organised by Prague Gay Pride (two refused). On the other hand his denouncing of Islam as an ‘anti-civilization’ could have come straight from Geert Wilders. What will Klaus do next? see no reason to signal any immediate political ambitions, but I don’t think it’s the end of the road (nemyslím, že je všem dnům konec) so we’ll se what happens. But I don’t think I’ll be announcing a return to Czech politics tomorrow. I don’t think that’s realistic. But I wouldn’t rule out some kind of attempt to go into European politics (pokus o politiku evropskou).